Settle in to Copperline Lodge. It’s quiet. Relaxed. Wind down. Take your time. Set an easy pace. Lay back on a comfortable bed in surroundings that suggest your grandma’s homestead. (Except the CopperLine Lodge includes the comforts of a warm shower, air conditioning, your own kitchen and 50Mbps broadband). The Lodge is your home base for an unforgettable vacation, a quick weekend diversion, a family reunion, a business retreat, or just a memorable overnight stop in the middle of your road trip. We’ll make sure you have what you need. CopperLine Lodge has 6 (six) ground level mini-suites including queen beds, private bathrooms, kitchenettes, air conditioning and individual heat. You can park at your door, settle into your “cabinette” finished with knotty pine floors and stacked timber walls, and stay at reduced rates for nightly, weekly or longer terms. CopperLine Lodge also has 5 (five) oversized rooms. There is one room with a king and a single bed, one with a queen and a log bunk bed, one with 2 queen beds, and one with a queen and a single. The rooms are set up as Jack & Jill suites. The fifth room, the Owner’s Suite, has a king sized bed on the main floor—handicap accessible. 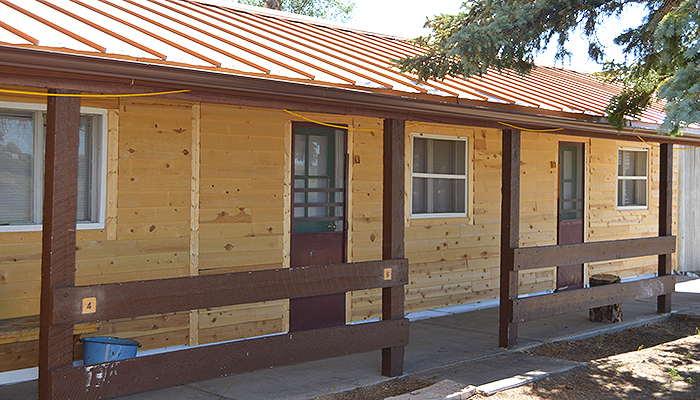 CopperLine Lodge offers three RV pull-through sites for rigs up to 50 feet in length. One of the sites has electrical and water hookups, and the other two are for self-contained units. There are hundreds of world class recreation opportunities in the Upper North Platte River Valley. There are those of the man-made variety—festivals and competitions and concerts several times a month throughout the year along with gourmet dining and one-of-a-kind shops in our vibrant downtown. And then there are the natural attractions—the North Platte River with floating, fishing, hot springs, bird watching; wildlife viewing, hunting and photography; the Snowy Range and Sierra Madre mountain ranges with camping, fishing, hiking, snowmobiling, cross country skiing, hunting and exploring; and scenic drives that will tickle your curiosity and then take your breath away. 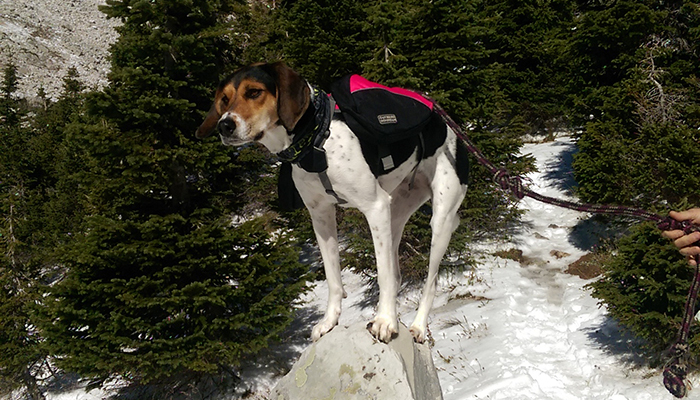 CopperLine Lodge is pet-friendly. People with polite pets make really good Lodge guests—the kind we enjoy hosting and getting to know. Our enclosed dog yard is your space to spend time with your furry companion and offer them a little unleashed freedom. My experience was very nice. The inn-keeper/ owner is extremely friendly and helpful. He even made a dinner reservation for us. There was a bit of a mishap with our reservation at first but he got it resolved quickly and ended up getting us a cheaper room. It's also very conveniently located, only about a mile or so a way from the hot springs. Definitely recommend it! This place is a slice of heaven for me. The owner Dan goes out of his way to make you feel right at home. I highly recommend if you need an restful escape from life and all the noise it brings. Excellent rustic style accommodations! Very quiet and quaint. Comfortable and clean. Right on the creek, nice bird sounds. The owner Dan was very friendly and accommodating! Had a great time in beautiful Saratoga! Will definitely come back. This was a wonderful place for my family to stay for 2 nights. The owner, Dan, is very kind, and made us breakfast in the mornings. The location was close to the hot springs and restaurants in Saratoga, and Dan recommended his favorite spots. What a cozy place to stay! I loved staying here! The Lodge had an inviting atmosphere, full of stories. The owner, Dan, cooked an amazing breakfast every morning and was so helpful on what to do around Saratoga. 100% Recommend. Great place. Rates are good and management is amazing to deal with. It is a lodge and not a normal hotel but that is eat makes it awesome. Comfortable, Clean. Dan was great to deal with. In a quiet part of town with a nice view. Dog pen was very convenient. Great place to stay in Saratoga. Homemade breakfast with real food makes this the best deal in town. I am not normally a fan of B&B type places but the entire experience was excellent. And they actually mean "pet friendly" when they advertise it. Will visit again. My husband and I love coming to the Copperline. Dan is a wonderfully pleasant person to chat with, and his pride in his business shows. The rooms are cozy and cabin-like, and a hearty breakfast makes waking up in the morning a pleasure. We'll be back! My wife and I love staying at the CopperLine Lodge. It's such a cozy spot in Saratoga. Dan is a joy to talk to, and he makes an amazing breakfast every morning. The rooms are always clean and even have a kitchen. The place even has great wifi for a such a small town. We can't wait to go back! This isn't the Ritz but for a rustic getaway it was perfect. I Loved how dog friendly it was and the owner, Dan, was very nice. It's conveniently located, within walking distance of the restaurants and shops and it's just a short drive or 20 minute walk to Hobo Hot Springs. I'd definitely stay here again. We enjoyed our stay at Copperline Lodge. There were 15 of us in the main lodge. It was perfect for our big group. Dan was so accommodating and made us feel right at home! We will be back! Can’t say enough wonderful things about CopperLine Lodge. I had planned a trip with my father for a late season mule deer hunt and this place absolutely delivered. Dan was wonderful and Sydney was great help with wonderful breakfast meals and plenty of coffee. Waking up morning after morning before the sunrise all that coffee hit the spot. Can’t wait to make it back this season. I know my father enjoyed his time there and is planning a weekend getaway with his wife to show her around Saratoga. Dan the owner was a wonderful host. He responded quickly, was flexible, and his lodge was clean and cozy. When the weather was bad and the roads were closed and we weren't able to make it for our reservations, he allowed us to change them free of charge. He is very friendly and I would definitely recommend it and come again. We had an amazing stay here. Very relaxed environment, friendly people + service and super cozy rooms. Not to mention a home cooked breakfast in the morning! We are definitely looking forward to returning.